Fifth grade is so special. We have many exciting trips, jobs, and responsibilities. You are the leaders and role models of our school. Our theme this year is Choose Kindness. Remember to do this each day! I loved having extra time to read this summer. 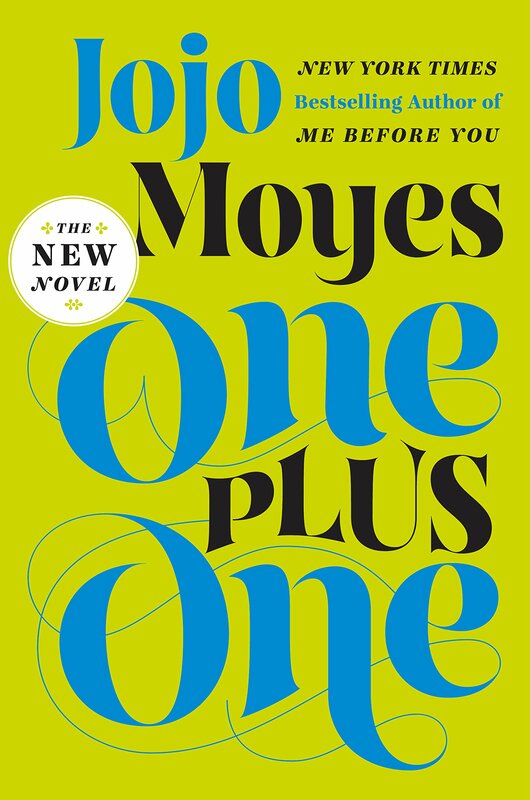 My favorite book was One Plus One. No, it wasn’t a math book! It was just one of many books I read as I traveled and lounged at home. I’d love to hear about your favorite book that you read this summer. This entry was posted in Learning by SWeingarten. Bookmark the permalink. My favorite book to read was The False Prince. It was my favorite book because it has a lot of action and is so fun to read. P.s I read it for 4 hours one time. Please share something that kept you so involved! Are you ready to read the next book in the series? I love when I finish a good book and there are more in a series! My favorite book that I read this summer was Harry Potter And The Chamber of Secrets. It was very interesting and had a lot more detail to the story then the movie. Please share some of the details without being a spoiler. My favorite book over the summer was Wonder by R.J. Palacio. It was my favorite book over the summer because it was cool that somebody that has a deformity and that is homeschooled and he then goes to middle school and it’s a great story when he’s in school. My favorite part of the book is when at the end-of-the-year ceremony when Auggie gets the award. For anybody in the class that hasn’t read Wonder, read it! It is a awesome book! This is a terrific review of a terrific book. Remember, our school theme this year is Choose Kindness! The book that I read over the summer that I loved was Gaby, Lost and Found. The author is Angela Cervantes. The book is a bout a girl named Gaby who’s mother has recently been deported to Honduras. She now has to live with her father. Her parents are divorced. It is very hard living with her father because he doesn’t pay much attention to her. But, when Gaby’s class starts going to an animal shelter named Furry Friends she finds this cat named Feather who was found left hanging at a rest stop. Gaby knows that Feather is desperate for a home. She also needs a forever home too. So how can she help Feather if she doesn’t even have a home? Find out by reading Gaby, Lost and Found. I hope you read it! Great recommendation. You made me want to read this book! My favorite book in the summer I read was Wonder. I like Wonder because it shows sympathy. Yes I also meant empathy and the author is R.J. Palacio. And an example of sympathy is when Jack is sorry for what happened with Auggie’s/August’s face and all of his surgeries. This summer I I’m reading Dork Diaries by Rachel Renee Russell. It is about a girl named Nikki and she is Trying to win one million dollars for her tuition bill she got from her school. Mckenzie her enemy is trying not to let Nikki win the talent show. But when Nikki finds out about Mckenzie little trick Nikki puts the puzzle together. Isn’t this part of a series? Have you read any other books by this author? My favorite book I read over the summer was 11 Birthdays by Wendy Mass. It is about a girl who is having her 11th birthday. For her birthday party her mom picked out a itchy costume for her to wear to her Halloween theme party. Across town their was a way cooler party. They hade a football star, rock band, and more. I really love all of Wendy Mass’s books. So I think you should try one. Thanks for the recommendation. Encourage friends to read the books you have enjoyed. My favorite book I read this summer was Inheritance by Christopher Paloni. This is the first book in the Inheritance cycle. (The first book is Eragon). The main characters are Eragon, Saphira,Arya,Mortagh , Roran ,and Nusada. This is the last book in the series but the author Christopher Paloni is writing sequels and prequels. This book is fantasy and has dragons,elves,dwarfs,urgals , raz’ac and humans. In this book Eragon and his dragon Saphira must work with a rebellion named the Varden to defeat the evil king Gallbotorix. I know there are a lot of fantasy lovers in our class. I hope your review will encourage them to read this series. The Giver is a great book. Could you share some more information without being a spoiler? My favorite I read over summer was Sent. Its my favorite book because its about time traveling and history. They have to go back in time to fix the past. I would love to hear more about this book. It sounds very unusual. My favorite book I read this summer is Savvy by Ingrid Law. It’s about a girl her brother and 2 friends that go on an amazing adventure to help their Poppa. Along the way, each friend learns something about themselves. I have read this book twice, and it blew my mind. If you are looking for a heartwarming, shocking, adventure story, this is the book for you. Great review. I bought this book, but haven’t read it yet. I will read it soon! My favorite book I read over the summer was Zombies. It is a journal from a scientist he is trying to survive in a zombie apocalypse and meeting people along the way. It is great because I can see how zombies behave. Of all the zombie books I have read this one is the one that zombies act on memory the most. I love to read end of the world books. I’m glad you enjoyed it. I’m sure there are other genres you will enjoy also. Hi everyone! Has any of ever read one handed catch? SO good! It’s about a boy called norm who lost his hand in an accident with a meat grinder. He wants to be a baseball player and must learn to accept his new challenges in order to do that.even though I don’t like baseball,it was still an awesome book! I’ve heard about this book, but you are the first one I know to review it. I’ll put it on my list! My favorite book I read this summer was wonder.It was so good.I recommend reading the book Wonder if you haven’t. I loved this book too. Please tell more about it. Wonder was about this boy named august who has autistic problems.It is august first time going to school.he is about to start 5th grade.August doesn’t have an ordinary face.People say he isn’t ordinary.Can he prove that he is like everybody else. Princess of the midnight ball.It is about twelve princess how are under a enchantment that there mother caused by making a deal with the king under-stone. Meanwhile Galen is coming home from war.find out how there paths intervene by reading Princess of the Midnight Ball. This is one of my favorite books! I’m glad you enjoyed it too! One great book I’ve read lately is Found by Margaret Peterson Haddix. Thirteen year old Jonah has always known that he was adopted, but he’s never thought it was any big deal. Then he and a new friend, Chip, who’s also adopted, begin receiving mysterious letters. The first one says, “You are one of the missing.” The second one says, “Beware! They’re coming back to get you!” Jonah, Chip, Jonah’s sister Katherine, are plunged into a mystery that involves the FBI, a vast smuggling operation, an airplane that appeared out of nowhere – and people who seem to appear and disappear at will. The kids discover they arr caught in a battle between two opposing forces that want very different things for Jonah and Chip’s lives. Do Jonah and Chip have any choice in the matter? And what should they choose when both alternatives are horrifying? Find out in Found. I have read some books by this author, but not this one. You have made me eager to read it! I’d love to hear more about this book without giving away anything important! My favorite book over the summer was Lord of the Ring I liked it because it has so much detail so it feels like you are in the moment. Also because it is such a creative story and such a multi layered world.There are so many different beings in Middle Earth. It has Orcs, Ents, Elves, Dwarves, Humans, hobbits and Wizards. It’s so amazing how J.R. Tolkein put all of them into the story and created such a big world with areas that they don’t even go by in The Hobbit or The Lord of the Rings. Are you reading the whole trilogy? Great books!